Hi everyone, it's a new challenge at Just For Fun Rubber Stamps and this month we are creating shaped cards. 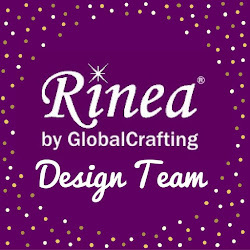 Using Spellbinders Grand Oval Dies, I created a scalloped card from pattern paper. Using the Couple Under Light Post, I stamped it with black and green ink on white cardstock. 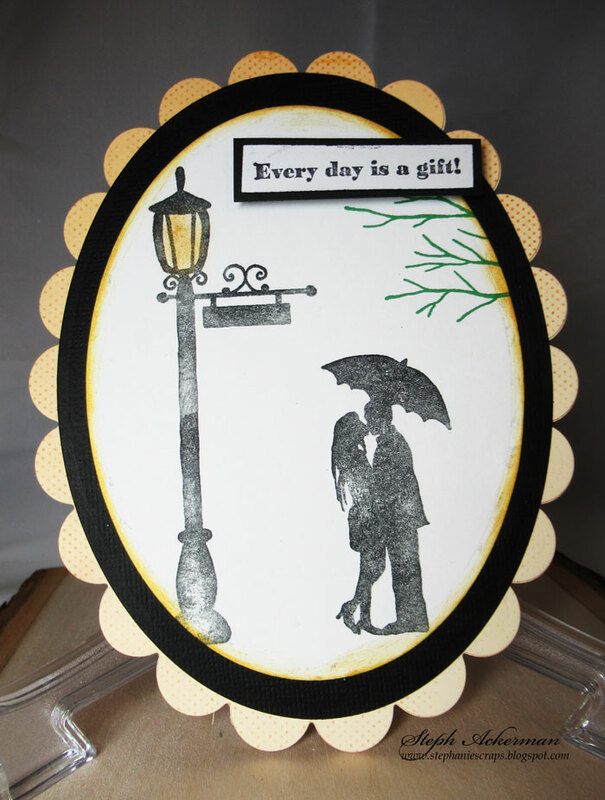 The panel was then die cut and matted with a black oval before being added to the scalloped card. Using a gel pen, I colored in the lamp post. 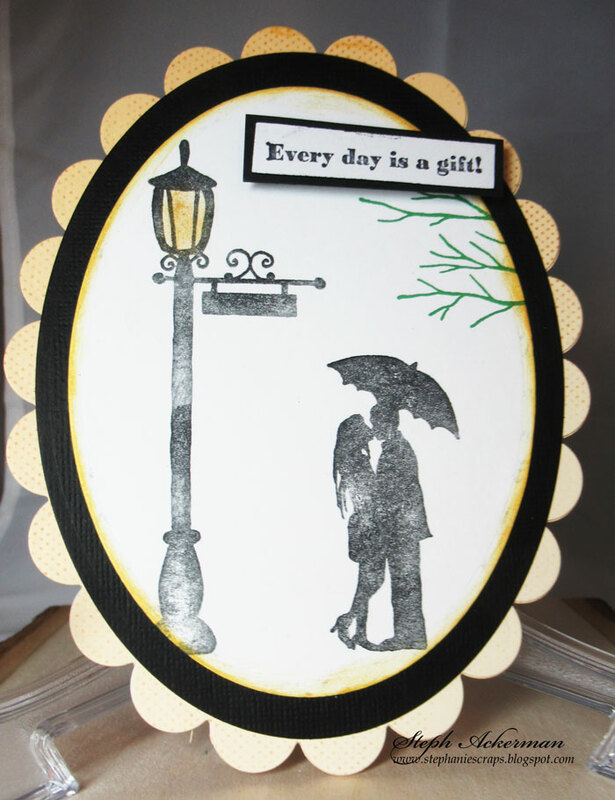 The sentiment is from Sentiments 3 stamp set. Great oval shaped card! The black frame around it really sets it off. 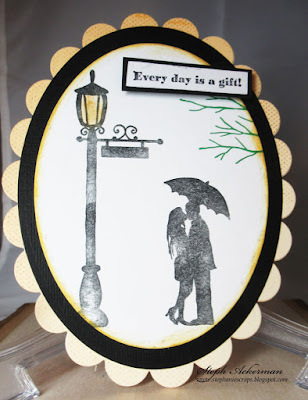 Love the shape you chose for your card and the gel pen for the light post is brilliant!